The Kobo Walmart partnership announced earlier in the year has finally come to fruition in the US. 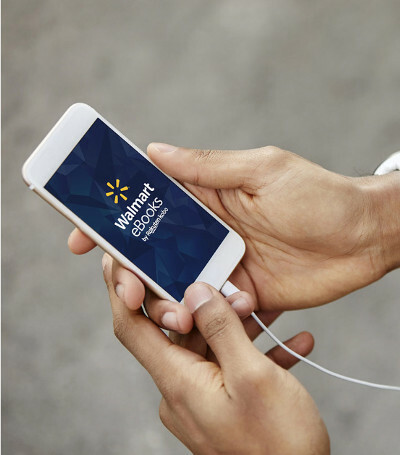 Residents of the United States can now purchase ebooks, audiobooks, and Kobo ebook readers through Walmart’s website, although the ebooks and audiobooks just redirect to Kobo’s website with a Walmart logo. The ebooks and audiobooks are also available through the new co-branded Walmart eBooks app for Android and iOS. 3,500 Walmart stores will start selling digital book cards that you can purchase in store and redeem online, but it only includes about 40 titles. Kobo ereaders will be sold in 1,000 Walmart stores and online. Some Walmart stores are staring to put up displays this week. All four current Kobo models are available now from Walmart.com, starting at $99 for the Kobo Aura 2, but the reviews are very suspicious. Walmart is advertising a promotion for new customers that sign up to get a $10 credit toward the purchase of their first ebook or audiobook. That’s double the credit first-time customers get through Kobo. But Walmart is offering the same $9.99 per month audiobook subscription deal where you can get your first audiobook for free. The biggest oddity about this whole thing is the fact that Walmart has posted dozens of phony reviews for Kobo’s devices. Some of the reviews were taken from Walmart Canada, and those seem real. I was wondering how they had so many reviews posted for these devices, especially considering Kobo doesn’t have any reviews on their website, and as I started to read them it’s clear that many of the reviews are fake. For starters, almost none of them say anything negative. Some of the reviews say stuff like, “It is also easy to purchase books on the Walmart website to have all your reading in one place.” Well, that’s an odd thing to say considering Walmart didn’t start selling ebooks until today, and the review is dated from over a month ago. “Walmart eBooks also has the largest selection of books.” – Posted July 10th, over one month before Walmart started selling ebooks. “Or you can connect it to the Walmart ebooks app and upload the books which you bought there.” – Posted July 17th, over a month before the Walmart ebook app was launched. “Walmart also offers the most impressive library in terms of scope and price…” – Posted July 17th. Lots of reviews make sure to mention how much better the Kobo device is than a Kindle, and how it offers a blue light filter unlike Kindles. Many of the reviews say they were written as part of a contest. Was it a contest to see who could post the most convincing fake reviews? At best they gave away a bunch of free devices in exchange for positive reviews. Either way these reviews clearly weren’t posted by paying customers. What level of interoperability do you think there is between the walmart app and the kobo app? Since the books are being sold by Kobo, can they be downloaded by either? There appears to be no overlap with accounts. You have to sign in with a Walmart account or create a new account to use the app. I tried logging in with my Kobo account but it wouldn’t work so I logged in with my Walmart account. There seems to be no way to link an existing Kobo account to the Walmart app. And unfortunately the Walmart app is just a rebranded version of the Kobo app, which I’ve always felt was one of the weaker reading apps. Kobo’s ereaders have way more features than their crummy Android app. Update: It turns out there is a way to links accounts (see below). I was really hoping to see a markdown of some kind, but nope. Maybe Black Friday or a similar “holiday.” Still cheaper to import the readers from Canada through Chapters Indigo. The Kobo Aura is $20 cheaper than it is at Kobo, but it’s their older 6-inch model that’s basically equivalent to the Kindle Paperwhite 2 in terms of specs. It’s still a big improvement over the $79 Kindle though, which is $99 without ads. I was hoping they’d price the Aura One at $199 because even then it’s still about $10 higher than the equivalent Canadian price but unfortunately it’s still the same as it’s been for the past two years. Good point on the Aura. I too was focused on the Aura One. The reviews on the Clara HD are completely phony, written for some contest. And the cases Walmart sells are way overpriced. I think Walmart will not do as well as they hope with this partnership. So many of us American e-reader owners are already locked into Amazon, it just feels like too little too late. And I say this as a Kobo fan. My first e-reader was the basic quilted back Kobo in lilac. I like the fact that the United States can find it easier to be exposed to Kobo’s great devices but I think choosing Walmart to partner with is a mistake. Still again – you cannot pick up in store but must do two day free shipping to store. No allowance for impulse buy. No opportunity to really see ALL of the Kobo’s on display. It’s a shame. Nathan noted that the e-readers will be stocked &displayed in 1000 stores nationwide. Sure, thats definitely not *all* stores, but that’s an average of 20 stores per state – there’s bound to be one within a reasonable driving distance of a large portion of the population. Even with there being displays in a lot of stores, if they’re out in the open they will be broken in no time since it is Walmart and any time I’ve ever seen displays of electronics they are either missing, broken or just not working. It’s too bad Kobo partnered with Walmart. I did notice that the Kobo site now has the Walmart ebooks logo at the top which is a huge bummer, I guess we are now stuck with Walmart being a Kobo customer. About the reviews, it’s really crummy of them to post SO many phony reviews! I flagged a lot of them, doubt it’ll do anything but I tried. I’m sure it will come out at some point they have a bunch of fake reviews for their stuff. Extremely shameful they did that and the sad thing is a lot of people won’t even know these reviews were placed a month before anything being public! When signing into my Kobo account, logging into Walmart came up automatically but I was able to change it to log into Kobo. After logging in I noticed under ‘My Account’ & ‘Sign in Options’ they added Walmart to be linked at the bottom. I’m hoping this means that when you link your accounts they will converge your ebooks together. Good to hear. I’ll have to try it. Thanks for letting us know. I believe they are kept locked up with only a demo on display. As an avid reader and longtime Amazon customer I checked out the new service and it immediately set off my bs detector. They wanted me to subscribe to some monthly service. Never got to the “books” and won’t be trying. I read ebooks from many sources, not just Amazon. I check them out from libraries, too. My Amazon app lets me send any media I want to my online library and then read on the Amazon app or via a web browser. I don’t think Walmart understands what the e-reading public wants. Most have well-developed reading habits that are more sophisticated than just impulse buying a book and loading on an extra device. We have multiple reading devices: phones, tablets, laptops, desktops, and chromebooks. I finally had a chance to check out the Walmart closest to me to see what their Kobo display was like. It was a very huge disappointment. One tiny section – a couple of rows of the ebook cards and gift cards and that was it. No device display, no Aura cards you could take to the register to get a device, no sign of covers. I asked a Walmart sales associate if they had any Kobo’s in stock and she had no idea what I was talking about – and she worked in the electronics department. I really think this way of promoting Kobo and their devices is going to crash and burn. They will do as well as BN will do after BN removed Nook displays and have more or less hidden the Nook device. Impulse buys are major – being able to touch and see a device is a major selling technique. Being able to see, buy and walk away with the device all on the same day is a major selling point. Kobo is going to fail and it is a shame since in my opinion their devices are better than Kindles.